Reading is your most important learning skill! In today's society, the better you are able to assimilate information, the easier and more successfully you can compete. Reading is the basis of learning and of personal growth. The loftier the goals, the more knowledge will be required to reach those goals. The more knowledge you gain, the loftier your goals and accomplishments will become. The two go hand in hand. What you have learned with the Alpha-Netics Rapid Reading Program is a very small step in the learning process you have started. Even though you may now read 2-5 times faster than you did at the beginning, with the proper, continued practice and usage of your skills, you can take your skill level higher and higher. The only limitation on your reading and learning skills is yourself. You have increased speed, understanding and the ability to remember what you have read. You can strengthen these skills or lose them. What you do is up to you! Set regular, daily practice times. 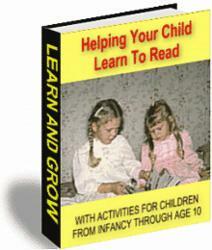 Make the program a part of your life until your new skills become the dominant reading skills. This could take a few weeks or a few months. IT DOES NOT MATTER! What does matter is that you do not lose the most valuable skill you have ever developed, and that you develop this skill further until everything you do is easier and your performance in every area of learning has improved. Develop a plan to improve your vocabulary. Anything related to learning should become interesting to you. Show off your skills to yourself and to anyone else lucky enough to be around you. 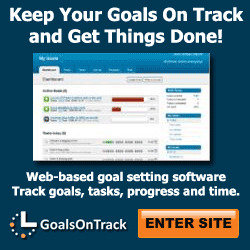 Set definite reading goals while you are using the program. Follow the 4-week program that is outlined for you. Set goals that require you to take action. Study what your gains will be with each step you take. Ask yourself "What is in it for me?" Knowledge without action is worthless. Use your skills. As you read normally, push yourself, analyze your feelings as you read. GO FASTER, SEE BETTER. Understand better and remember better. Just practicing once a week, after you have fundamentally learned the Rapid Reading skills, will be enough to improve your skill and ensure that it becomes the dominant reading skill. Always push yourself, but remember to relax and maintain smooth movements while doing so. Practice understanding and remembering. If you feel there is an area you are weak in, practice that area more until you have the confidence that will make even the weak areas strong for you. Be proud of what you have learned. Show off your reading skills as often as you can. If you can read at 750 wpm and read 30 minutes a day, you could read 1 book in about 4 days. Two hours reading time per book! Reading 12 hour a day, that is reading nearly 2 books a week, nearly 7 books a month and between 80 - 100 books a year! This may seem incredible, but it's true. But so are the skills you've developed! Regardless of the level your reading skills have reached, any growth is worth the effort! You are now reading at least twice as fast as you were reading and, your understanding and the ability to remember, has increased. The best part is that you can continue to increase the level of your skill development. It's up to you! Practice and use your skills as much as you can!